In celebration of our 50th anniversary, we joined with the City of Oklahoma City and the Oklahoma City Riverfront Redevelopment Authority to fund and coordinate a major landscaping project along the Oklahoma River’s north shore. The project will transform an empty stretch of treeless space into a linear park, adding shade, color and scenic respite areas to the cycling and pedestrian trail that stretches from Harvey to Portland avenues. In honor of the Oklahoma City Community Foundation’s investment, the stretch will be named the Oklahoma City Community Foundation River Trail. Learn more. May 15 | 10 a.m. 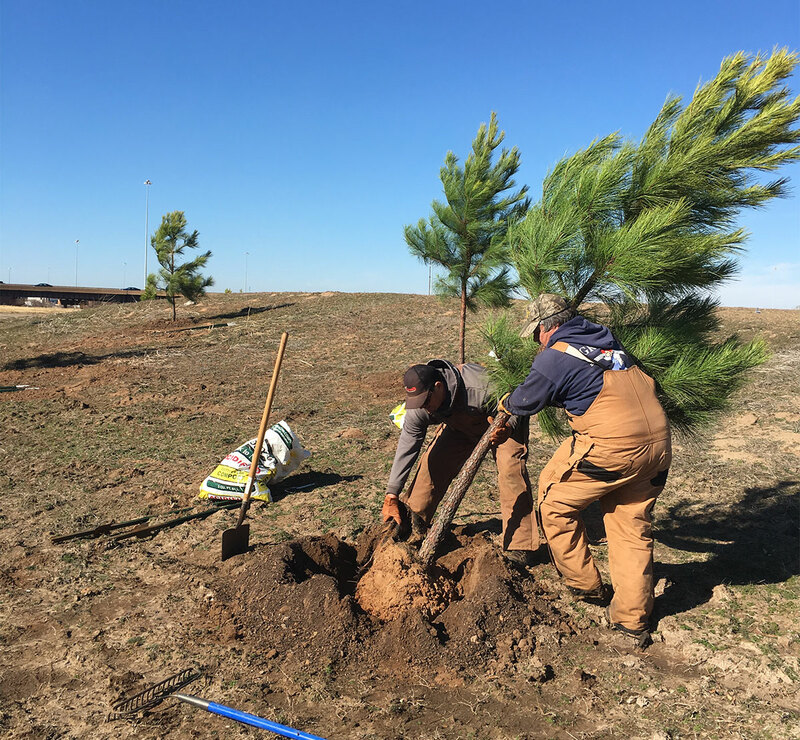 Planting up to 1,000 trees along the pedestrian trail on the north shore of the Oklahoma River to increase shade and tree canopy and encourage greater use of the trail. Landscaping along 3.5 miles of the trail will include native grasses and wildflowers to enhance the aesthetics and create managed, natural areas with erosion control along the river. New seating areas will provide natural respite areas along the trail. Existing irrigation systems will be reactivated to utilize river water to irrigate plantings. A variety of tree species that grow well in Oklahoma and provide shade were selected for planting. Project completion and trail dedication anticipated in Spring 2019.